We have seen several WordPress sites that have been hacked / defaced today. The hacks are unusual in that the WordPress sites are clean. No malicious code and malware scans are clean. 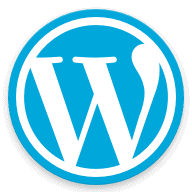 The hack involves a security bug in WordPress 4.7 that was released with the software. Updating to WordPress 4.7.2 will fix the issue. If your WordPress site was hacked you will see your latest blog post has hacked content in it. Simply delete the blog post or edit it and delete the hacked content. Then upgrade your WordPress site to 4.7.2. If you are an IDP managed WordPress customer you do not need to do anything we will do this for you as part of your web hosting.